This contemporary style slipper chair includes a kidney shaped accent pillow. The chair and pillow fabric has a solid color with a subtle zig zag pattern. Tapered exposed wood legs in a dark finish complete the chair. It's a great accent piece for any living space. 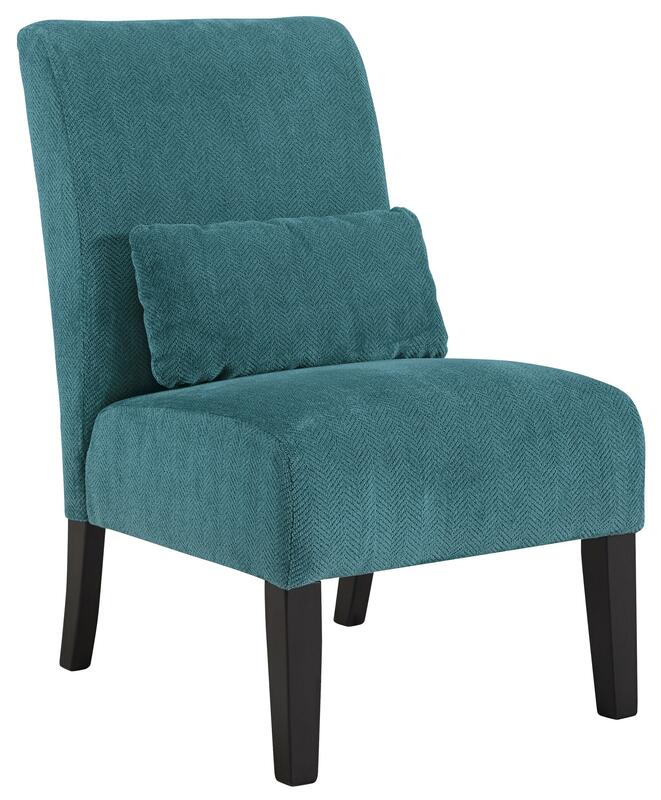 The Annora - Teal Contemporary Armless Accent Chair with Pillow by Signature Design by Ashley at Household Furniture in the El Paso & Horizon City, TX area. Product availability may vary. Contact us for the most current availability on this product.